1-2 tbsp olive oil plus extra for kneading. 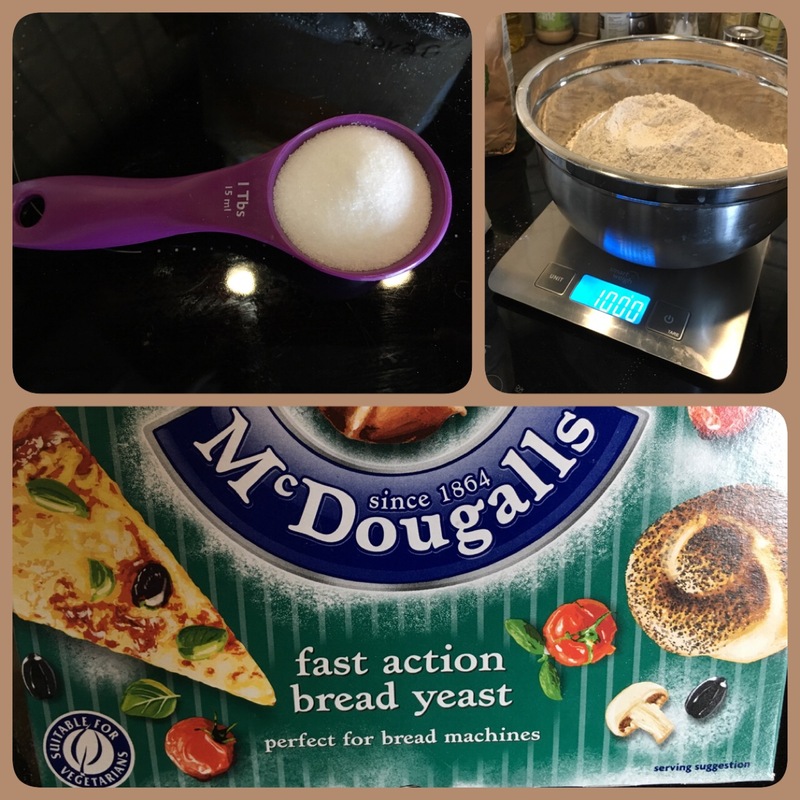 In a large bowl add the flour, yeast, salt and oil. 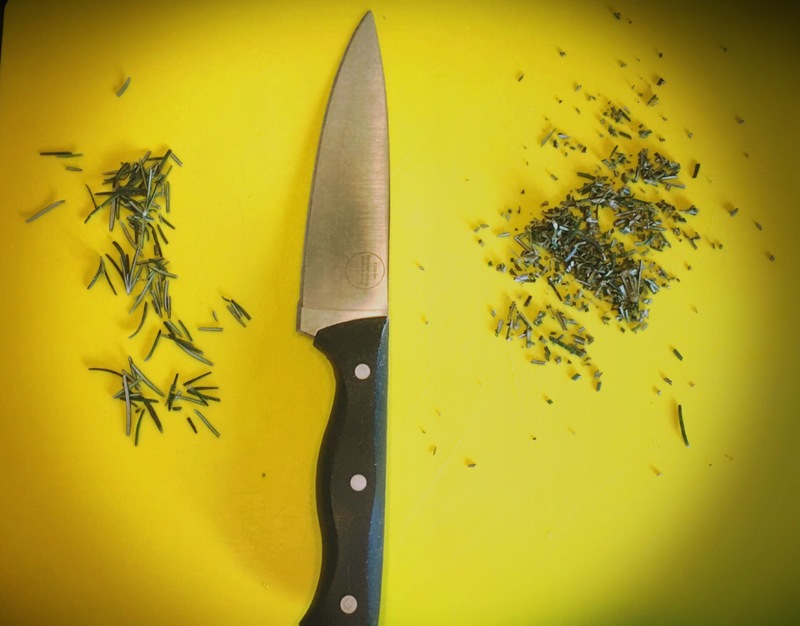 Chop up the rosemary leaves as small as you like and leave some aside to decorate on top. Mix altogether. Add the warm water bit at a time to bring the flour altogether. 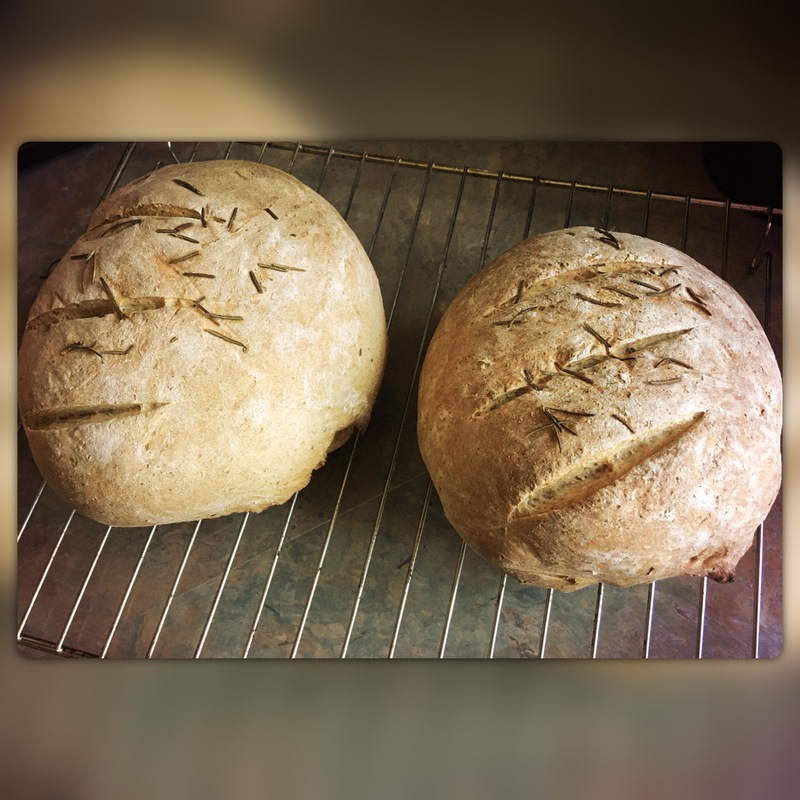 Knead with the heel of your hand for roughly 10 minutes. 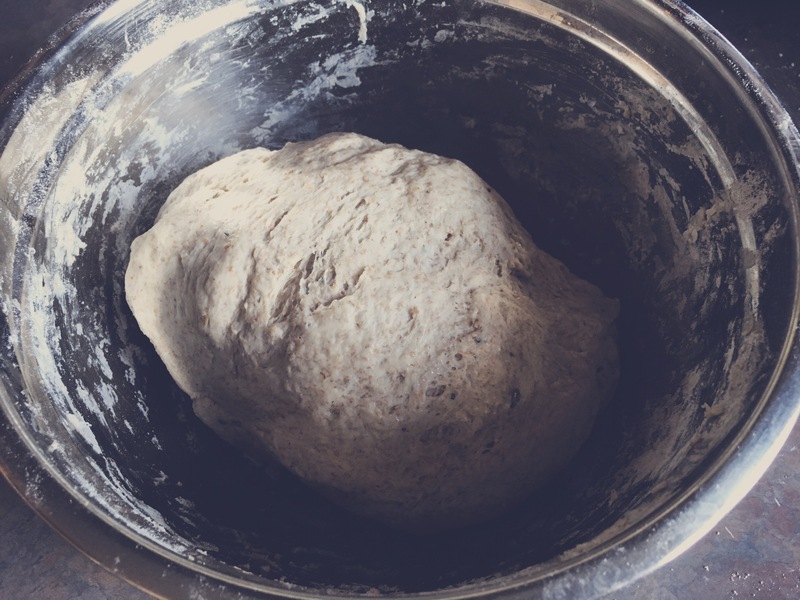 Bakers advise that you are not wanting to pummel the dough, instead you are wanting to stretch it with the heel of your hand so that you are developing the gluten. You will find that eventually it will become harder and harder to stretch as the gluten develops. 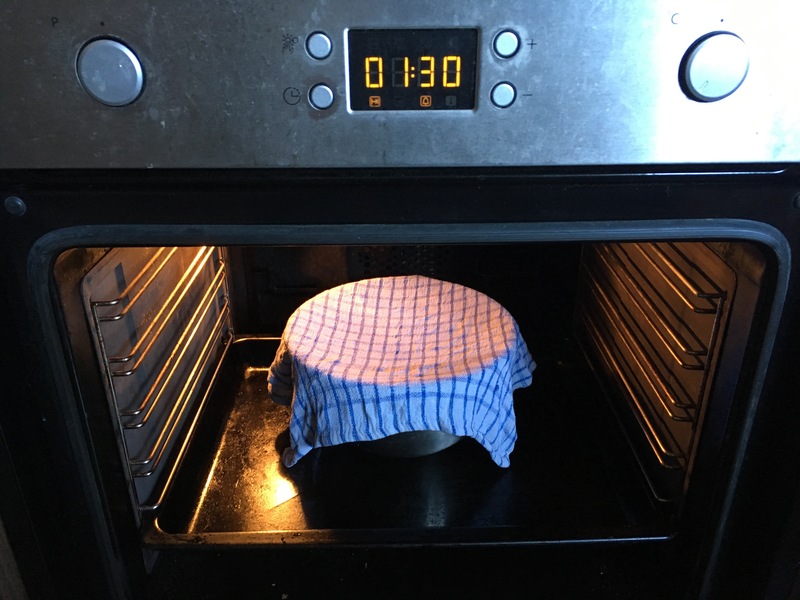 Cover with a warm damp clean cloth and put it into the oven with just the light on for roughly 1 1/2 hours until it has doubled in size. 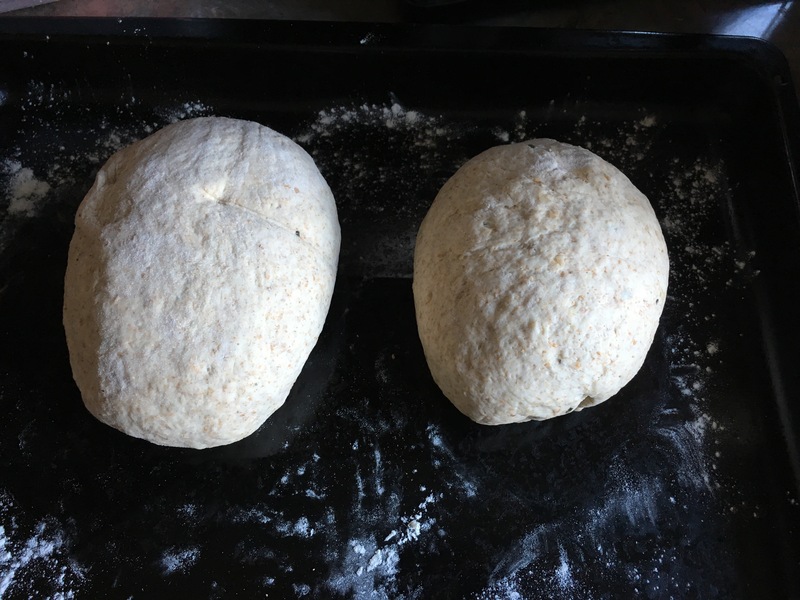 Once the dough has doubled in size, take it out of the bowl onto a floured board and split it into 2 pieces. Shape the two pieces the way you like and leave to prove for another 45 minutes. Meanwhile turn your oven on to it’s maximum heat. 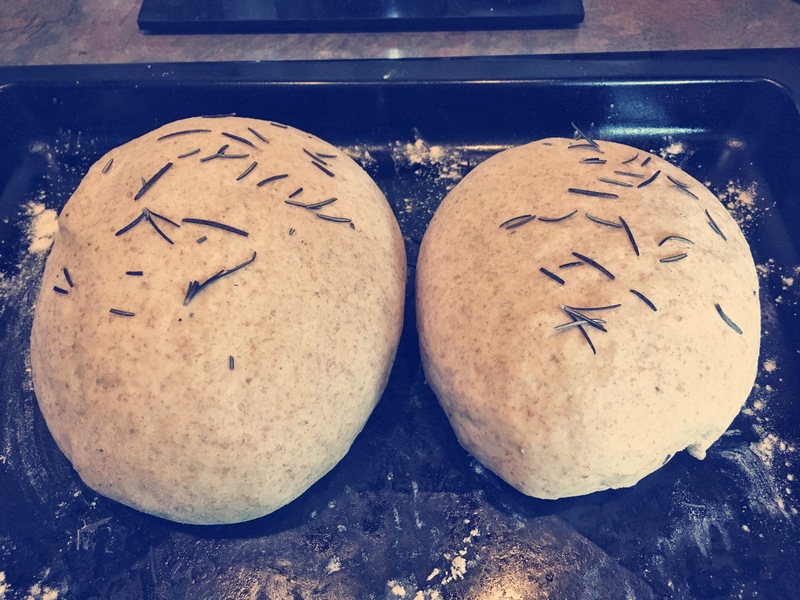 Once it has doubled in size again, dip the remaining rosemary leaves in olive oil (to help them adhere) and sprinkle them on top of the loaves for decoration. With a very sharp knife, make several slashes across the loaves, then carefully transferred into the hot oven. Cook for 10 minutes to get a nice crispy crust, then turn the temperature down to 190 degrees and cook for a further 30 minutes. The bread will have a ‘hollow’ sound when you tap it so you will know it is cooked inside. Transfer to a cooling rack before slicing.